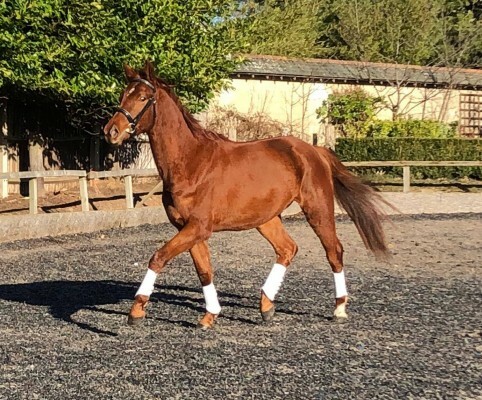 Hanoverian chestnut gelding 2016. Homebred out of an Embassy/For Pleasure Mare. Sire International Show Jump Stallion Arazmataz (Acorado/Graf Sponeck). lovely temperament, super paces. Dam was winner of the jump section of her performance test and 2nd place overall (inc dressage horses). Sire competed internationally upto 1m40. Dam and sire can both be seen.